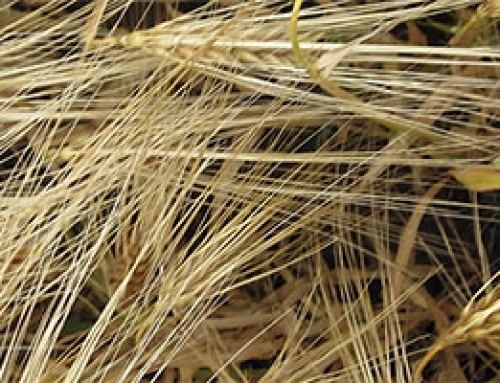 Yield is the result of the daily biomass development over the whole vegetation period. 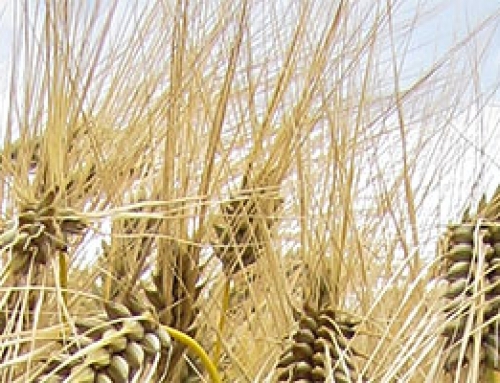 Thus, it is necessary to use a crop growth model, which takes into account the current weather conditions as well as other influencing parameters like topography, soil conditions etc. in addition to the satellite data. 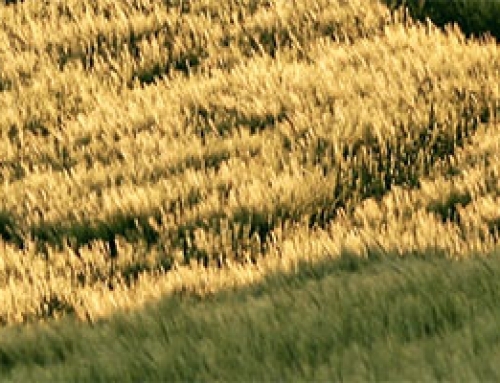 The example shows an application of yield prediction for precision farming. Here not only the correct estimation of total yield is important but also that the patterns within one field are predicted correctly. 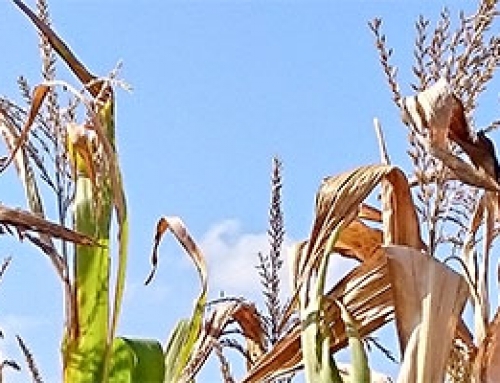 As soon as six weeks before the harvest the average maize yield could already be predicted with an accuracy of 97% using multitemporal satellite data. 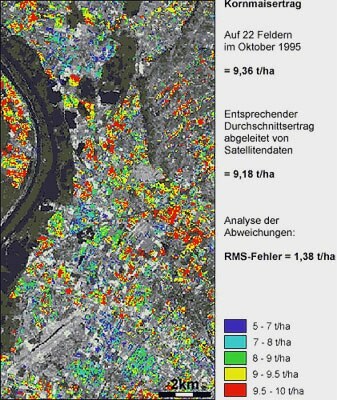 The following figure shows the results for the sample harvest and for the satellite based prediction. Results of conventional yield prediction based on field survey are also shown in the figure. In September 8,2 t/ha and in October 8,1 t/ha were estimated within the conventional yield prediction. 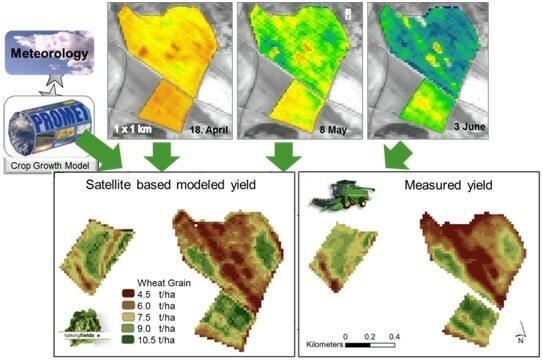 These values are significantly too low, while the prediction of the remote sensing method, though also too low, is closer to the measured yield.